my ravenous dog Rojho has sole entitlement to Paw-Paw, which is off limits to the rest of us! “A selection of fruits” turned out to be a huge double-layered box of plums! 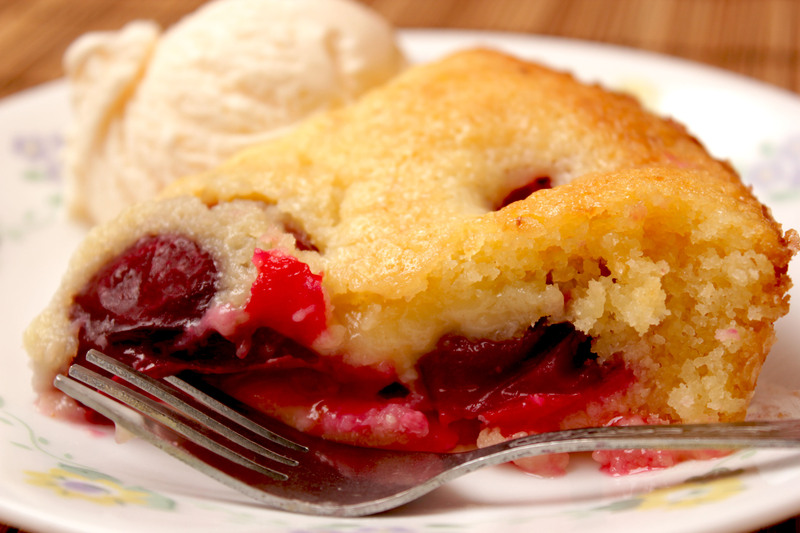 What does one do with so many plums?…..Make a gooey plum cobbler ofcourse! 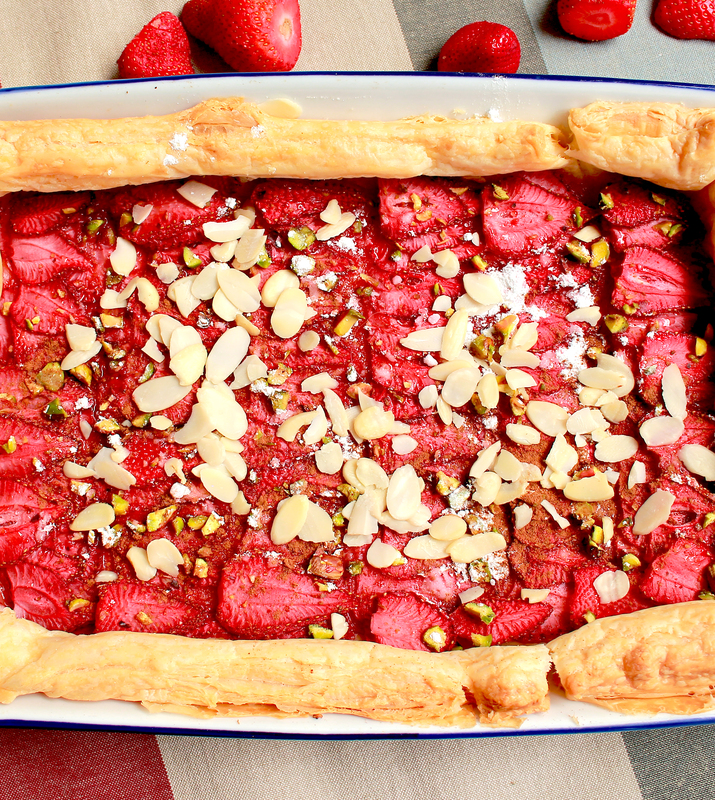 I’ve been dying to try out this recipe, I must lend credit to Joy the Baker for inspiring me ! What I love about it, besides the fact that it put my plums to good use, is that it requires no egg replacer, which is a huge relief for the eggreplacerphobes out there. Keep in mind that the effort required for this dessert is absolutely minimal. You can count 10 minute for preperation and 30 minutes for baking 🙂 I managed to squeeze in a walk with Rojho while the oven did it’s magic. 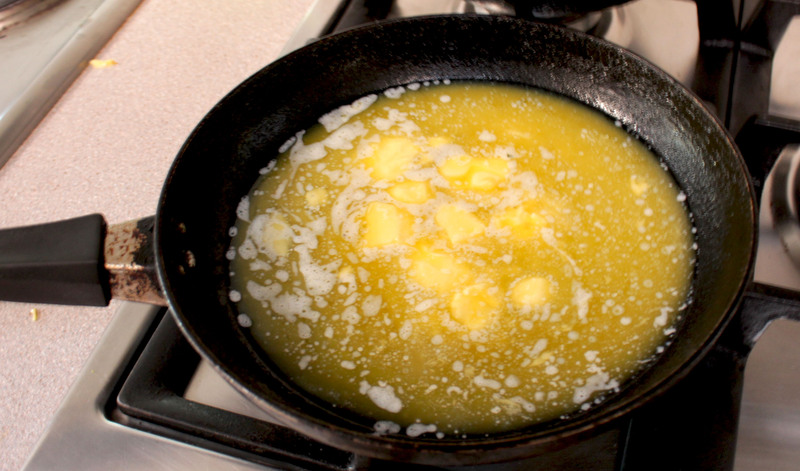 Melt the butter over a low flame, and keep a close eye on the butter as it browns. If you aren’t used to browning butter, look out for a deep nutty fragrance. What sets this aside from a regular cake, is that the browned butter gives it a unique richness! 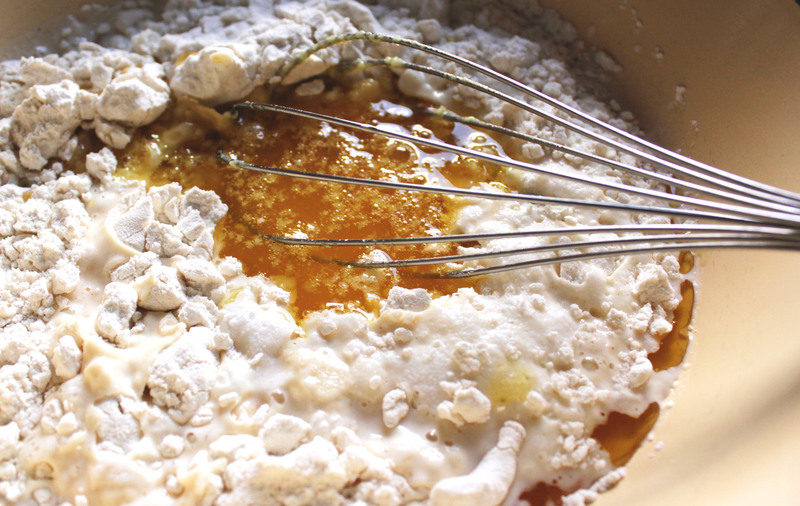 In a bowl, combine all the dry ingredients except the fruit, and then gradually whisk in the milk. Sometimes I like to sneak in a sprinkling of cinnamon! 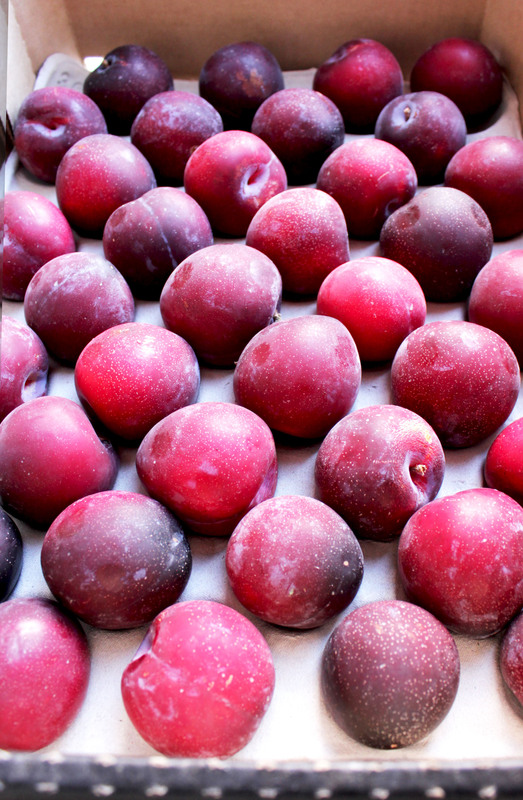 Arrange the plums face down, and bake for 30 minutes at 180 degrees. 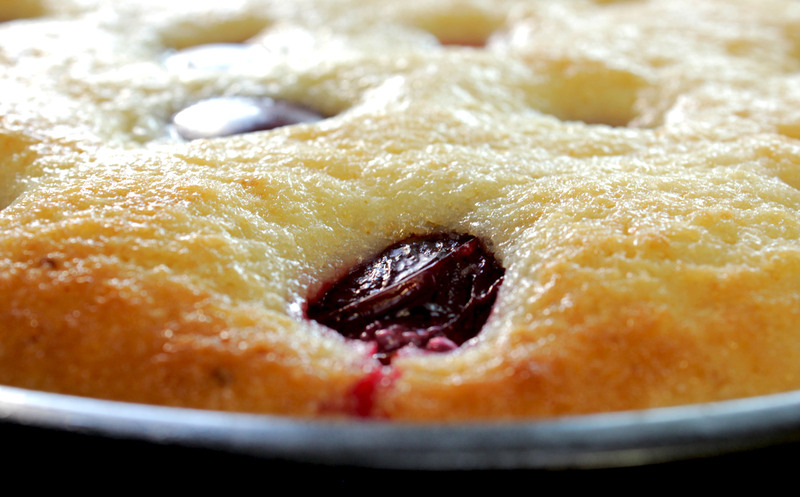 Look at the way the plums ooze from the surface…how inviting. 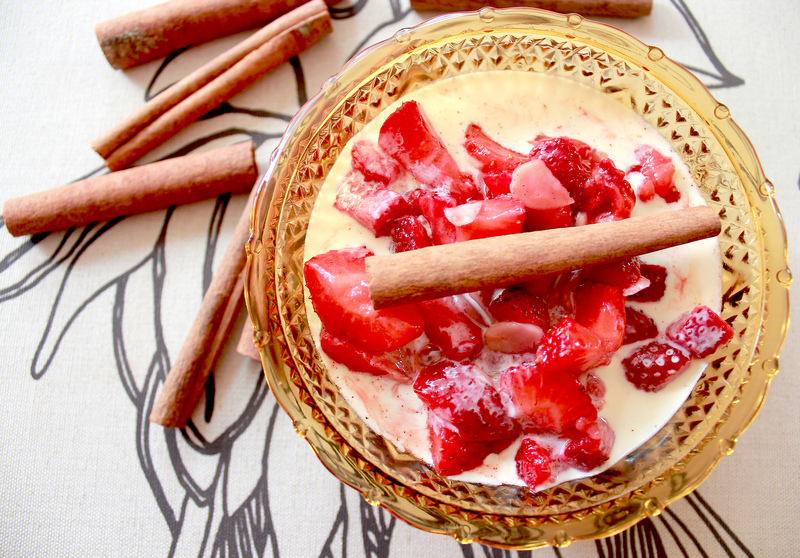 Sprinkle with cinnamon and sugar if you desire, and serve slightly warm with a generous scoop of vanilla ice cream! P.S – the next time I bake this dessert, I’d like to try it out with peaches!